Wanting your kids to grow up well-rounded is normal for any parent. The dream is for them to be intelligent, perceptive, and possibly also artistic. And if they could be versed in history and culture, all the better. You don’t have to go to great lengths just for that though. Your kids can learn all about history, art, and culture, and at the same time learn the value of charity by participating in the Bayanihan tribute at the Ayala Museum this Sunday, Jun. 10. In time for Independence Day, the Greenbelt Ayala Museum Experience (G.A.M.E.) pays tribute to our country’s fallen heroes and their families. Aside from a day of art and culture at the museum for the children of Hero Foundation, there will also be activities lined up for museum guests such as a talk and a workshop from artist Alwin Reamillo. 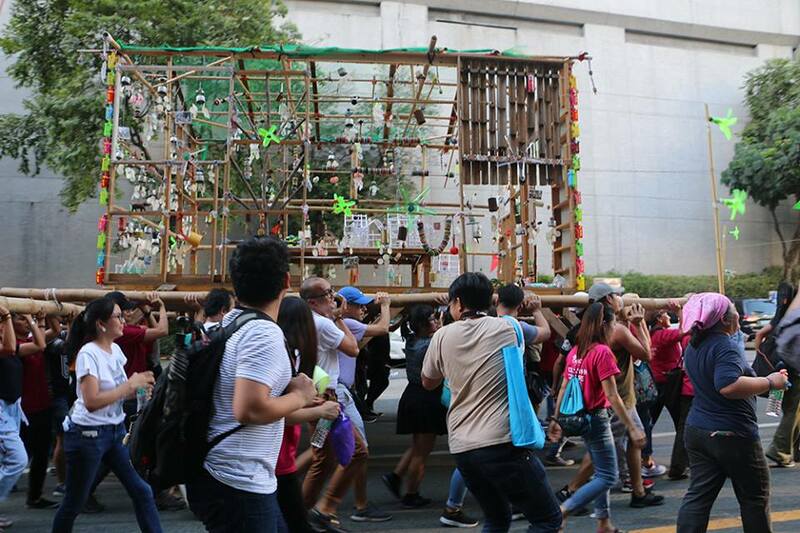 Reamillo is the creator of the art installation called the Bayanihan Hopping Spirit House. Hobbes & Landes, Greenbelt’s partner establishment for the event, will also be having a booth set up along with Color Me Mine and Elait ice cream. Half of the museum’s admission proceeds for the day will be given to the Hero Foundation. Hobbes & Landes will also be donating toys for the foundation children. 3 p.m. to 3:30 p.m.
G.A.M.E. on Jun. 10 runs from 12 p.m. to 7 p.m.
WWPD: What would Pepe do?